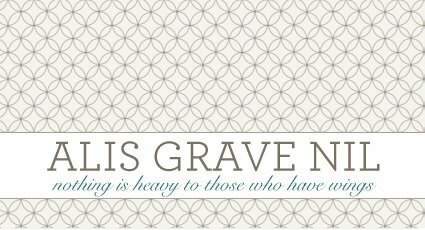 alis grave nil: Move this book to the top of your list. I think the first time I heard about this book was when Anderson Cooper said he read it this summer. But it wasn't until my friend Maggie suggested it and reviewed it on Goodreads that I decided to read it. And I didn't let myself read about it beforehand so I was going in pretty much blind. I was entertained from the first page to the last, and I enjoyed the writing style, too, because it felt comfortable. I loved all the interspersed Italian... I had an audio book for this one -- you can find the audio book version I had here -- and I highly recommend that version as well. 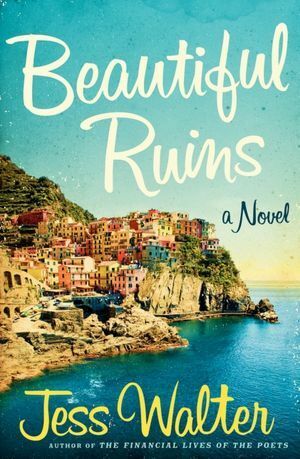 Beautiful Ruins is about an extra on the set of the movie Cleopatra in 1962 who is diagnosed with cancer and sent away to a teeny Italian coastal village where she meets the owner of the Hotel Adequate View, Pasquale. The cancer and the reason for her being sent away aren't exactly what they seem, and what comes to light about the woman happens as Walter shows us the characters in California, Italy, Scotland, and Washington State at various time periods. I genuinely didn't know where this book was going to go and I really liked that. I love a book that shows me the characters at all different points of their lives, and this one does that--sometimes out of order, which means that as you're reading, you already know bits and pieces that make you read differently. I won't give too much away, but I will say that this book is tender, lighthearted, sad, and engaging. I was happy to pop it into my ears and hit the gym because I wanted to know where it was going. Any book that makes me want to exercise just so I can keep reading it is a win for me, and I was sad when it was finished. I think this is a book that just about anybody would love. Completely entertaining. My recommendation: Go buy it right now.